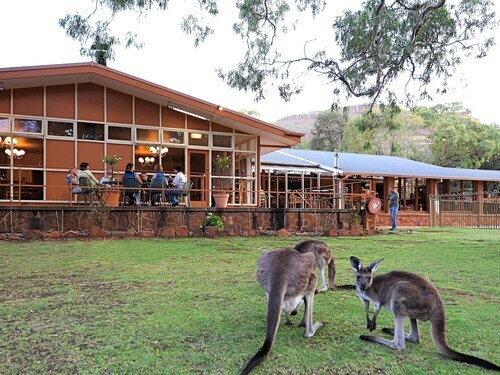 Situated in a state park, this resort is steps from Wilpena Pound and Flinders Ranges. St Mary's Peak is 23 mi (37.1 km) away. Situated in a rural location, this apartment building is 0.1 mi (0.1 km) from Wilpena Pound and 2.2 mi (3.5 km) from Flinders Ranges. Hawker Visitor Centre and Old Hawker Railway Station Park are also within 25 mi (40 km). 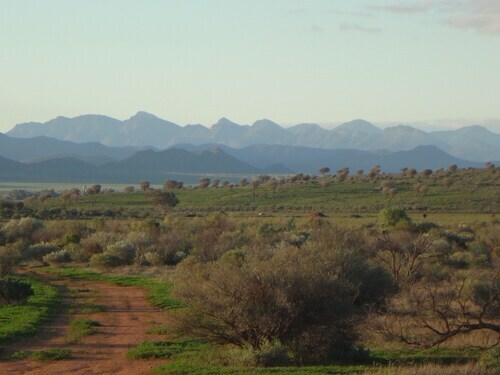 Situated in the mountains, this farm stay is 3.5 mi (5.6 km) from Wilpena Pound. 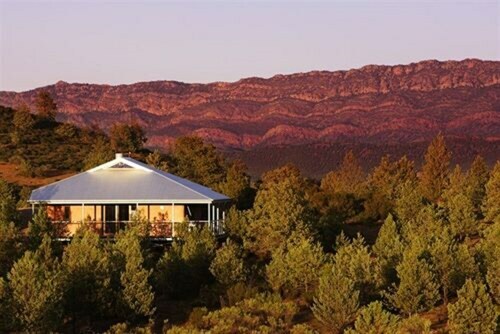 Situated in a rural location, this vacation home is 2.1 mi (3.5 km) from Wilpena Pound and 2.9 mi (4.7 km) from Flinders Ranges. Northern Trailhead of the Heysen Trail is 32 mi (51.5 km) away. It's hard to get a place to stay in the centre of Flinders Ranges. There's just 1 accommodation option within 10 kilometres, so make sure to get in quick! The Wilpena Pound Resort is your only option if you are set on staying near the action. Another Flinders Ranges hotel option is the Rawnsley Park Station, 20 kilometres away from the city's centre. It would be a shame to leave Flinders Ranges without enjoying more of what this region has to offer visitors. You can tour local places of interest, enjoy hiking and four-wheel driving, or simply wander in South Australia's beaches. Thanks for taking the time to explore our Flinders Ranges hotels and apartments. Just remember, when you're ready to head to Flinders Ranges, Wotif is waiting to take off with you. How Much is a Hotel Room in Flinders Ranges? Hotels in Flinders Ranges start at AU$168 per night. Prices and availability subject to change. Additional terms may apply. The area is good with the mountain view, amenities and cottage is good, near in town centre, staff friendly. Fantastic location and lovely setting. It is under different management from when I last stayed there 2.5 years ago and the cleanliness of the property and the helpfulness and efficiency of staff has significantly improved. I would now again recommend staying there.